The Liberal government's point man on marijuana, Bill Blair, says possession for recreational purposes is still a crime despite ambitious plans to legalize the drug. The Liberal government's point man on marijuana says possession for recreational purposes is still a crime despite ambitious plans to legalize the drug. 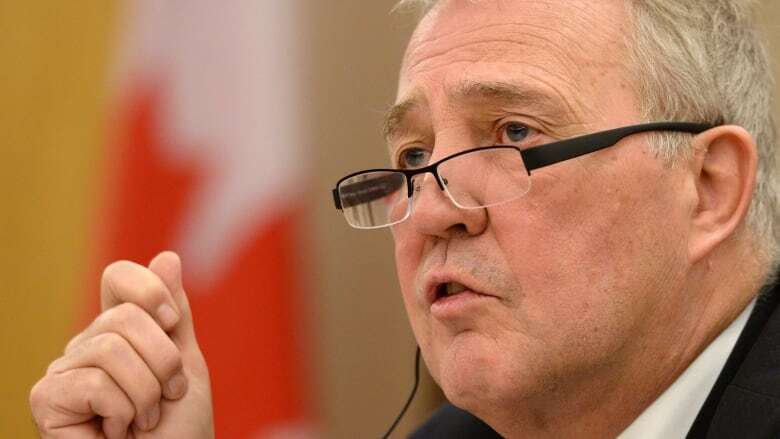 "I think it's really important that we continue to use the tools that are available to us to keep our communities safe," Bill Blair, parliamentary secretary to the justice minister and Toronto's former police chief, said in an interview with Chris Hall on CBC Radio's The House. "The only control that is currently in place is the criminal sanction and the laws ... those laws must continue to be respected and upheld right across the country," he said. The position is at odds with the one taken by his Liberal colleague, the newly elected Nathaniel Erskine-Smith, who told The House in a separate interview that he will push the justice minister to end criminal charges for pot possession right away. Police chiefs have raised red flags since the Liberals were elected, saying many people are flouting criminal code provisions because of prime minister Justin Trudeau's impending plans to legalize. Indeed, police still deal with a pot possession incident every nine minutes in Canada. This week, Blair called the number of Canadians charged with possession "shocking," noting that in 2014 there were 22,000 charges laid. Current laws disproportionately affect minority and aboriginal communities, he added. The Toronto-area MP said he is in the early stages of drafting a plan to legalize, regulate and restrict access to minors, adding any plan the Liberals settle on will put security and public health first. He also said the plan will take billions of dollars off the black market. "We believe that a strict regulatory regime will do a far better job of enabling us to control the access that kids have to marijuana, it will enable use to eliminate the black market and get organized crime out of this and thereby make our communities safer," Blair said. Young people in Canada — ages 18 to 24 — consume more marijuana than those of the same age group in just about any other western nation, Blair said, a testament to just how much of a failure the current laws have been. Blair says any plan will take considerable time to draft, but he understands the urgency of finding a comprehensive solution to an inadequate set of laws. "I think a lot of people are very anxious that we move as quickly as possible, and I respect that, and we're going to do our best, but we also have to do it right and that does mean consulting with experts, relying on the evidence, getting the best possible system in place to protect our kids," he said. The former police chief said he's looking at existing regulations around medical marijuana as a starting point for a new regime. Canadians with certain medical conditions have had access to legal pot since a Supreme Court ruling in 2000. The Harper government made changes to an existing government program — which was created in the aftermath of the top court's ruling — that effectively commercialised the system. Private companies can now apply to Health Canada for licenses to grow marijuana. They can then in turn sell it to patients who have the proper documentation from their doctor or nurse practitioner. At the same time, Conservatives also banned patients from growing pot in their homes, a move that was reversed this week. "I think there are some good lessons to be learned there [from medical marijuana] ... the regulations are very, very detailed and they clearly define the methods of production, security arrangements that must be in place, quality control and they dictate good production practices which, if followed, have a much higher likelihood of producing a safe product and one where its quality and potency can be determined." Blair said that despite the government's push to legalize the drug, he's not naive to serious health effects the drug can have on the human body. "There's been a great deal of research on the science around marijuana but I think there's still a great deal of work to be done. We know that this drug can have a very negative effects on the health of adolescents, we know that it can make very complicated — and can be quite unhealthy — for those suffering from mental illness." And because there is no THC breathalyzer used in Canada, nor has a legal limit been established for THC — the active ingredient in pot — the issue of smoking pot under the influence will have to be addressed, Blair said. "We know that alcohol can impair, as can many drugs, including cannabis, a person's ability to operate machinery, particularly motor vehicles. We need effective laws and we need effective tools for law enforcement to be able to detect, enforce and prosecute those who would choose to use any intoxicant, including marijuana, before they operate a motor vehicle."